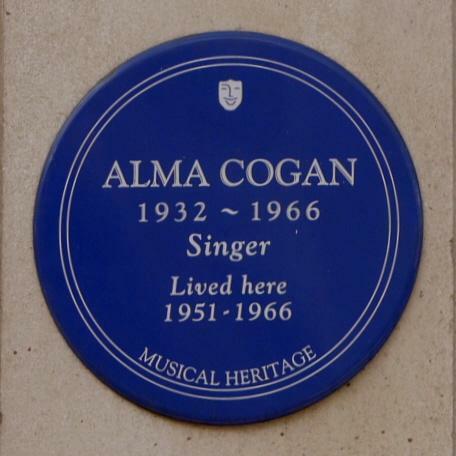 Alma Cogan, 1932 - 1966, singer, lived here, 1951 - 1966. 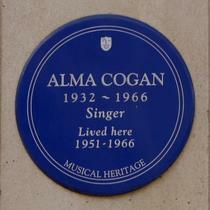 Plaque unveiled, by Sandra Caron (her sister), Michael Winner, Petula Clark, Pearl Carr and Teddy Johnson. Merged with the Heritage Foundation.